Three years ago yesterday, my Nan died. Well, her body died; her mind departed long before. I miss my Nan so much. She was awesome, before dementia stole her spirit. Last year, I contemplated writing a blog along the lines of “The year I lost my Nan and found her again”. I was going to introduce the Sprogs to all the cool things Nan did with me. Like making our own meat pies on dinner plates and decorating them with the homemade pastry off-cuts. And the heart-attack-inducing slice she prepared every time we came to visit – biscuit base, caramel filling, Dessert Whip topping and sprinkles. Or searching for the long-lost fields of flannel flowers she’d make us pose for photos amid in our unflattering ’70s polo-neck skivvies and flares. Or packing a picnic of cold pie and heart-attack slice and wandering along Hawks Nest beach to the base of Mount Yacaba to hunt for cowrie shells in the rock pools. Or filling an old wash-tin with sand and salt water, then adding guppies and brightly clawed crabs caught among the mangroves on the riverfront. Or buying mullet and bream from a local fisherman, tossing them in flour and Season-All and frying them with hand-cut chips in well-used oil. Or growing peaches and plums and lemons and mangoes and mulberries in the backyard and eating them straight from the tree. Or cultivating a mysterious and overgrown “fernery” to explore down the side of the house. Or waking the Sprogs at dawn to swim in the Myall River during a chilly king tide. She was a funny old stick, my Nan. A total penny-pincher yet incredibly generous at the same time. She’d wash and reuse all her plastic bags, complain bitterly about the price of absolutely everything, then thrust money into my hands on every visit. She bought me the first video recorder in our street. It cost $800 waaaay back then, which must have been a fortune. I was desperate for one so I could tape my favourite music clips on Countdown. Those new-fangled gadgets were so rare there was only one video store in the whole of Newcastle. My sister and I spent every school holiday with my nan, while Mum and Dad worked. She fed us so much junk food we’d get heartburn. She let us watch so much TV our eyes went square. Because Mum was allergic to fur and feathers, Nan would buy us holiday pets – guinea pigs, ducklings that mysteriously grew into geese, cockatoos. Then she’d be left to tend them all when went back to school. Nan was so proud when I became editor of her favourite magazine, she virtually shouted it from the rooftops. Even when her memory faded, she never forgot to boast about me. Bits and pieces of her life surround me now. Her old photos are crowded on her sideboard in my living room. Tea towels once used to dry dishes after her Sunday roasts are now in my kitchen. A crocheted doily has become a parachute for Sprog 2′s toys. Mum and I met for lunch on the first anniversary of her passing, to raise a glass to Nan and feast on her favourite food, oysters. I hope that one day I get to be half the grandmother to my grandkids than Nan was to me. Except I’ll be 15 years older than she was when it happens (unless the Sprogs do something really dumb) and not nearly so divine. This year we didn’t mark the date together. 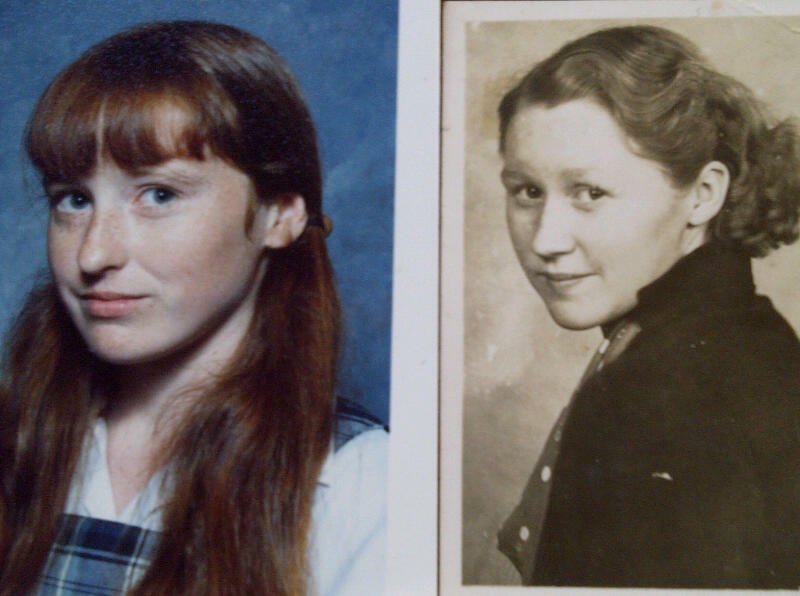 Though I’m going to call my mum belatedly this morning to make sure she’s doing ok. She says it gives her comfort that I look so much like my nan, like she’s left a little of herself behind. Vale Nan. 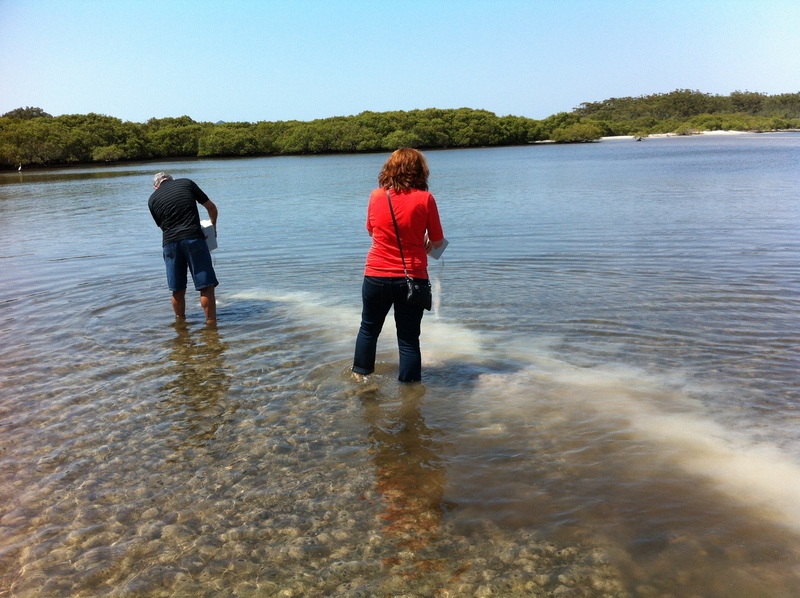 PS The pic at the top of the blog is from the scattering of her ashes last year in the Myall River. It kind of got a bit messy. Click here for a post I wrote about it called So Many Tears. What wonderful memories, and my gosh you look like her!!! I think the legacy we leave has nothing to do with money but the strength of our family and the joys shared – your Nan obviously left a very rich legacy behind. That’s a wonderful piece about your nan – so many wonderful memories that keep her alive. It’s been three years (in June) since mine died too. And you and your nan look so alike! It’s a bit spooky isn’t it. A lovely read, Alana, especially following the burial of my 83 year old Aunty Teresa yesterday. So much of what you wrote resonated and I smile at the memories. So sorry to hear about your aunty Geoff. Wow, you do look like her! She sounds great. A beautiful post, I can totally relate, I had an awesome Nanna too. Gosh you look so much a like! Thx Lou Lou, Nannas are the best.